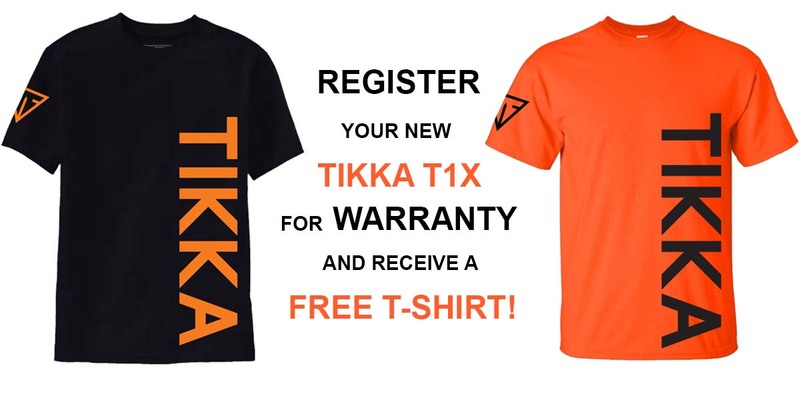 Register your Tikka T1x MTR for Warranty and receive a Free Tikka T-Shirt! 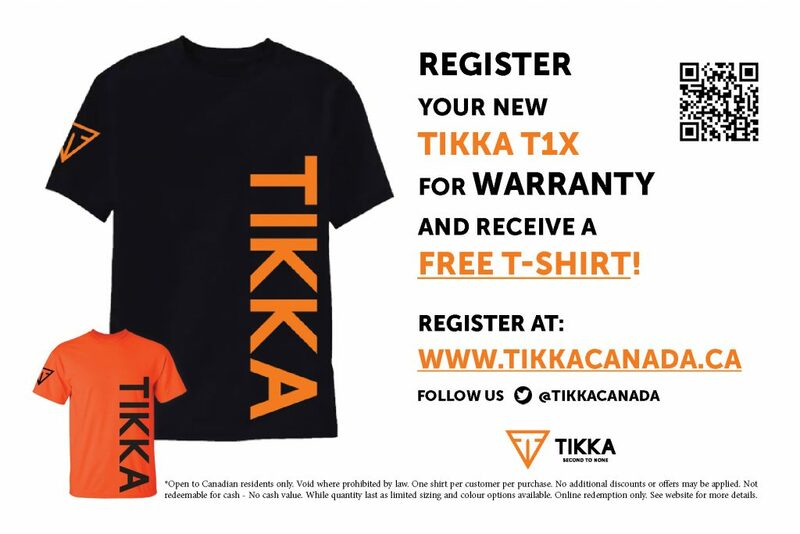 Register your Tikka T1x at www.tikkacanada.ca/support. Email confirmation will be sent with a promotional code. Add a Tikka T-Shirt to your cart and apply the promotional code in the coupon section. Your information will be verified and an email will be sent for confirmation before shipping. Please note, while sizing may vary, no exchange will be accepted. Shipping may take up to 3-4 weeks. *Open to Canadian residents only. Void where prohibited by law. One shirt per customer per purchase. No additional discounts or offers may be applied. Not redeemable for cash – No cash value. While quantities last. Limited sizing and colour options available. Online redemption only. *Warranty Registration must match the name on the order. T-Shirts redemption will not be shipped without completed warranty registration.